L ondon: 21 January 2015 - Global research consultancy Kantar TNS today announces new leadership for its global Qualitative team with the promotion of Anjali Puri to Global Head of Kantar TNS Qualitative. Rebecca Wynberg, who has served as CEO of Kantar TNS’s Qualitative practice for the past three years, will move to a non-executive position as Chair of Kantar TNS Qualitative. 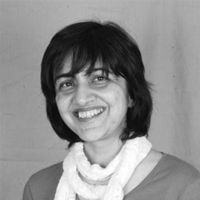 Formerly Head of Kantar TNS’s Qualitative Centre of Excellence, Anjali has also previously held the position of Managing Director for the Qualitative practice in Asia Pacific. In her new role, she will report to Jonathan Chocqueel-Mangan, Kantar TNS Director of Strategy and Transformation, and have overall responsibility for the culture, offer development and thought leadership of Kantar TNS’s Qualitative business. Anjali is a frequent presenter at ESOMAR and other high-profile industry forums. She has received multiple awards, including the ‘Best New Thinking’ award by the UK MRS and the WPP Atticus award in the ‘Research in Practice’ category. Currently based in Bangalore, Anjali will be relocating to London in the first half of the year.